Welcome to K2 Studios! Our yearly registration is $30 per family. (This is a registration form- you are not required to sign up for classes on this form) we have disabled the ability to register online for all of the advanced classes and some of the intermediate as all students will be evaluated in order to place them in the appropriate levels. You may register for classes at the studio location. We have disabled the ability to register online for all of the advanced classes and some of the intermediate as all students will be evaluated in order to place them in the appropriate levels. All newbie and mommy and me classes require 3 students minimum to open. When registration reaches this min, all enrolled students will be notified. For everyone else , you may register for the exact classes during our Open House. I recognize and understand the risks of physical injury inherent to dance, yoga and dance training and I fully assume those risks. I hereby release K2 Studios LLC, its affiliate dance studios, event sponsors, employees and dance teachers from all liability for injuries sustained or illness contracted while attending or participating in any dance classes, rehearsals, workshops, or performances. I agree to indemnify, defend, and hold harmless K2 Studios LLC, its affiliate dance studios, event sponsors, employees, volunteers, and dance teachers for liabilities, cost and judgements arising from acts of omissions committed by me or my child which result in injury or damage to any person or property. I understand and agree that it is my responsibility that it is my sole responsibility to safeguard my personal property while attending or participating in any classes, rehearsals, workshops, or performances. I hereby release K2 Studios, its affiliates, event sponsors, employees, volunteers, and dance teachers from all liability for loss or damage to my personal property while attending or participating in classes, rehearsals, workshops, or performances. I also agree to abide by any rules, regulations and policies set forth by K2 Studios. Welcome to K2 Studios LLC, in order for any individual to participate in any classes at K2 Studios LLC, this form must be read fully and agreed to. If the participant is under the age of 18, a parent or guardian must also agree to abide by and accept the Liability terms herein this form. 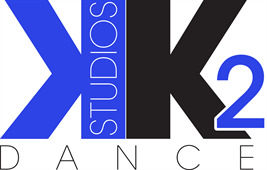 I further acknowledge that K2 Studios reserves the right to use photographs and videos taken during classes, rehearsals, workshops, performances or other affiliated events for the purpose of instruction, advertising and promoting K2 Studios and its programs. In the event of a medical emergency, I hereby authorize K2 Studios to make the necessary arrangements to transport myself or my child to a medical treatment facility as necessary. All such transportation and medical treatment will be at my sole cost and expense. Acknowledge that by signing I have a full understanding and agreement of the content within this waiver. I agree to hold K2 Studios LLC and its affiliates, harmless of any medical costs that may arise as a result of injury to me or my child. Furthermore, I state that there are no health related reasons or problems which preclude or restrict my or my child's participation in any activity. All Tuition Payments are due by 1st of every month with a 5 day grace period or if you have chosen a different payment schedule the 5 day grace period will be added to that. After the 5th day the late fee will be instated. There is a $15 late fee for ALL late tuition payments. This fee will increase by $10 each week thereafter until account is paid in full. If total bill is not paid by date set, the dancer will have to sit out of class. All fees must be paid in full before recital or the student will not be able to participate. There is a $30 fee for ALL returned checks and automatic payments.